After comfy 24-hour economy flights with Eva and Fabian, and just as I started to watch Moana, we landed in Lihue (Kauai). 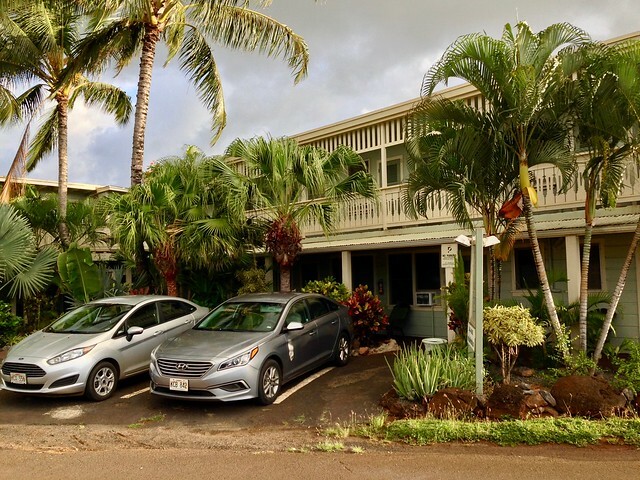 I assembled with Pedro, we took a rental car and quickly found our room in cosy Kauai Palms Hotel. For lunch next day we met Andrea in Kapaa and together we headed to see Wailua Falls, not far from Lihue. We left Andrea in Kapaa later that day and for our next night we were going to camp at Koke'e State Park Campground (thanks Evka for help with fixing my tent!). The night was very cold, roosters were loud and views from Kalalau Lookout were astonishing! It was time to warm up and see some beach so we decided to get a nice cup of coffee and visit a beach with restricted access for rental cars - Barking Sands Beach in Polihale State Park. We could not get more east and north, so we travelled west to Anahola beach camp. After my morning run in the beach (which was a very bad idea), we travelled north through lovely town Hanalei. After a coffee break, we followed the road and reached another paradise on Earth - Haena Beach Park. There is no road to go further by car so we had to return back and visited Kilauea Point. Our last campsite was nearby in Anini Beach. As we got hungry in the evening, by mistake we ended up in Princeville - an upscale community of vacation homes and condos - no thank you sir! Early in the morning, during the rain and in the dark, we packed our tent and headed in the direction of the Lihue airport. We got to Kona with stopover in Honolulu. Our shiny Ford Mustang Convertible was waiting for us in the airport. The next mission was to get to Hilo and pick up Gilbert there. 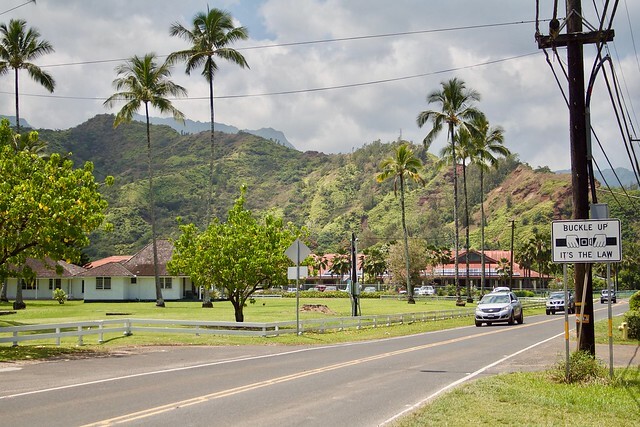 We travelled north through town Waimea and several vegetation zones. Gilbert was waiting for us in Hilo, prepared as always. Next stop - Hawaiʻi Volcanoes National Park. 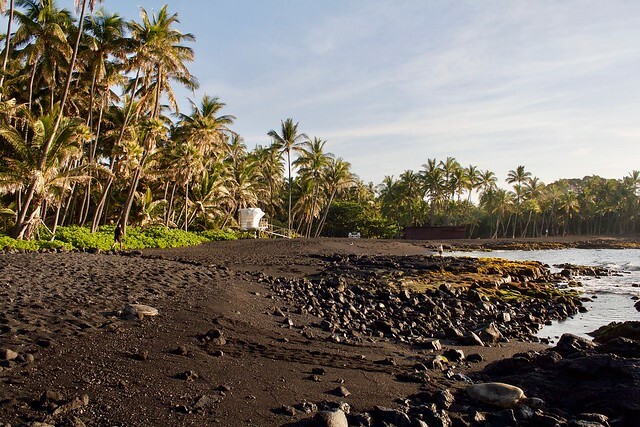 That night we camped under a palm tree in Punalu'u Black Sand Beach. Black sand, turtles and we were soon off to get some breakfast and coffee before our ascend to Mauna Kea. It did not go easy. Actually, the first part to the Mauna Kea Visitor Information Station was easy. But then a steep gravel road appeared and the engine of our Mustang got overheated - the engine cooling was probably insuficcient. Automatic transmission in the normal traffic mode did not help either. We let it cool down in a parking lot and then set for a sport mode, extra engine cooling and manual transmission. Pedro took the steering wheel and got us to the top of Mauna Kea! 4207.3 m! 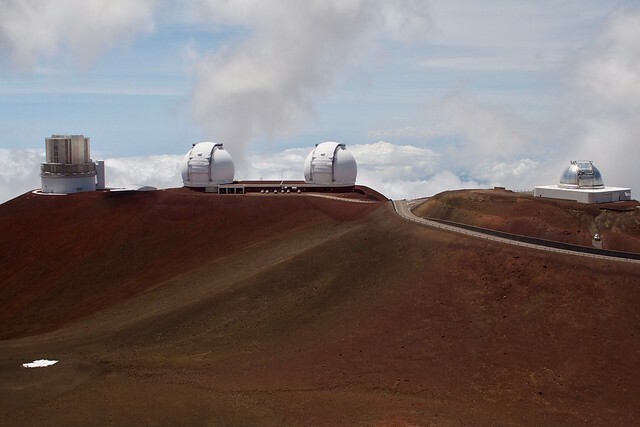 Views from Mauna Kea would be beautiful even in the fog, and we got sunny weather! I found my AirBnB later at night in Honolulu and how did I get surprised when my hosts told me they come from Slovakia! During the week-long conference I managed to visit Pearl Harbor with Michal and some nice beaches near a convention center. The conference ended on Thursday and thanks to Elmar, Pedro and I we got a chance to see a good part of Oahu Island on Friday - before our flights back. 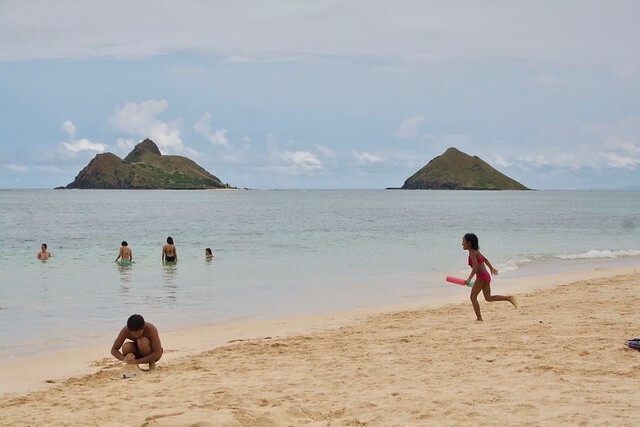 We stopped at China Walls, to watch surfers, Makapuu Lookout and near Lanikai Beach for a quick swim. We met Veronika with her Swiss colleagues there, but because weather was not very sunny, actually a storm was approaching, we decided to continue direction north shore. I fell asleep in the car and when I woke up, I was eating shrimps at Giovanni's Shrimp Truck. Then we drove to the Shark’s Cove - the best scuba diving experience in my life. I flew with United through Los Angeles and San Francisco to Portland. The flight was long, I watched Moana for the second time. Kolo was waiting for me at the airport, we took our Subaru and went to sleep in a motel/hotel in/near Portland. Our goal was to climb Mt. Hood in Cascade Range. Let me be more specific and describe each day / attempt separately. Our home for three days was Mt Hood Village RV Resort. I did not take ski gear with me (only ski clothes), but rented them at Mountainology. I obtained the gear before lunch so we got some time and decided to go try it and check the terrain under the mountain. According to the guy at Mountainology, the weather was good, but we should not use the ski slopes, which were icy, but a nearby "canyon" instead, which should have enough snow. So we missed the canyon and climbed up on that super icy surface. 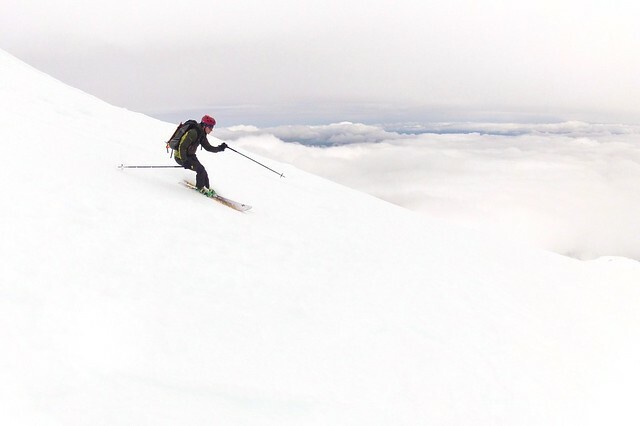 My skis were more appropriate for freeride in powder snow, than for the ice. Luckily Kolo had ski crampons and he helped me for some part of that climb. Sometimes we got a glimpse of Mt. Hood, however the weather got worse later (dark, strong wind and snowing) so we decided to descent. I fell two times on that hard ice, but I did not break anything. The morning sky was clear and we could see Mt. Hood in his beauty all the way to a parking lot. Unfortunately, when we reached the parking lot, the weather got worse, but we decided to climb up anyway. This time we found a climbing trail which led us to the top of Palmer chairlift (8500 ft / 2400 m). The weather got slightly worse, we made a break and then decided to climb up a bit more. We saw four climbers descending from the Crater Rock. More wind, more snow and less visibility. I decided to go back. Kolo wanted a bit more. I said I could not make it because my skis were sliding back and I almost lost the visual contact with the lift station. It seemed like a not good idea to go up in this weather. So we decided to meet in 10- 20 minutes at the lift station. I skied down and waited for Kolo. I waited for 30 minutes and Kolo was nowhere. My body started to shiver so I built a provisional wall made of snow to block the wind a little. Then I noticed several ice axes and a crack leading inside to the station. Those four climbers got through that crack and were hiding and warming up inside. So did I. I made some exercises inside to keep my body warm. Then we discussed what to do next. My friend was missing and we were getting seriously cold. We decided to go down and I would call a rescue in case Kolo was still missing. I skied down quickly and went to a lodge next to the parking lot to warm up, eat something and check my blood sugar. I wanted to ask for a mountain rescue but something told me to go back to the parking lot and check if Kolo did return or perhaps if I could see him skiing down - the visibility in lower altitude was good. As I was walking towards our car I saw a person doing something near the car. I stopped. The person waived. It was Kolo. I found him a little bit in shock, without skis and with wounds on his face. I try to describe the situation from Kolo's perspective, as I remember it. 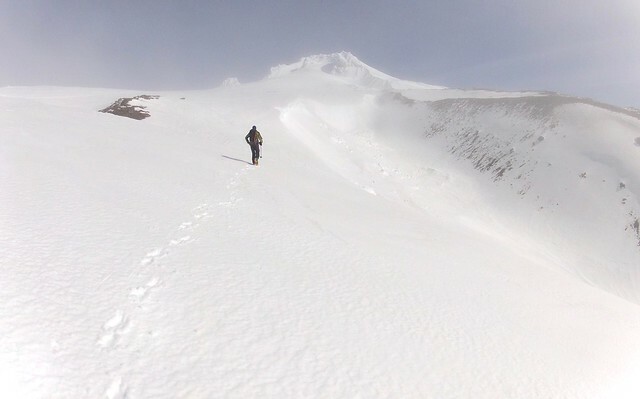 When you study the terrain, you should know that there is a canyon called Zig Zag, which you really want to avoid when you ski down from the summit / Crater Rock. So you steer a little bit left. When Kolo wanted to return back, he lost the visual contact with the Palmer chairlift but he knew about the Zig Zag canyon. So he steered left. 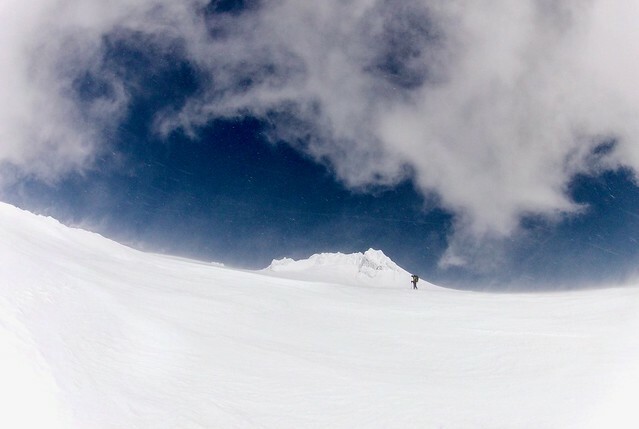 However, if you steer just a little bit more and ski directly down with limited visibility, you can end up somewhere else as you originally intend. Even a small misdirection in that altitude can get you lost. And that's exactly what happened. Kolo fell down twice in a canyon east from the slopes. He slided down on that hard ice and lost his both skis and one pole. Luckily, he was (and still is) very well trained and he quickly managed to put the crampons on and because he was aware of the time, he almost ran back to the parking lot in that crampons. To be honest, I was a bit angry that we split in that high altitude and in bad weather, but when we finally met after that neverending hour, I completely forgot about it. I became very happy, that nothing serious happened. We mourned one minute or two over the lost skis in the car on our way back home. 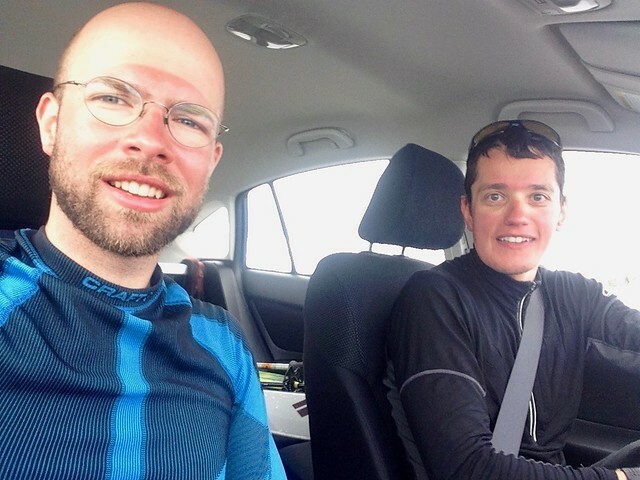 Kolo recorded the complete climb and drama with his GPS watch and according to the data, we should be able to localize the skis. Therefore we decided look for the lost skis on our third day. We put on campons and followed the data from the GPS watch. The weather was very good, perhaps even too sunny. We found the skis in the canyon! Now I could see Kolo's fall and imagine how horrible it was. 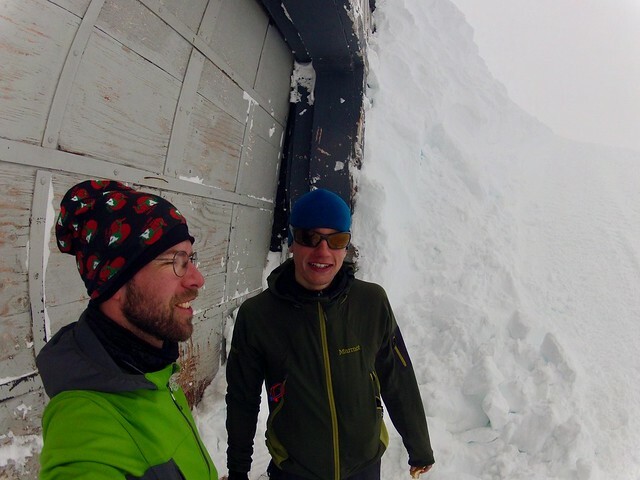 After we found the skis, we had still some time and the weather remained good, so we climbed under the Crater Rock - probably 9200 ft / 2800 m. As it was getting late, the weather changed and we turned back. I walked down in crampons and Kolo skied down. The snow and the sun left us marked. Later that day we packed. We were was flying back home and Kolo was flying in 2 days to a conference. 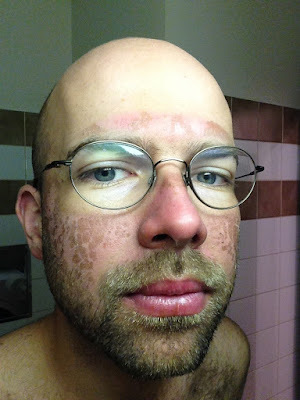 Until today I am not sure what kind of sunscreen we used that day. Usually I would not write about my flights as they are always the same but these were a bit different. I watched Moana for the third time and I suffered. I suffered a lot. I had to buy some cream and wax in a drug store in Heathrow.